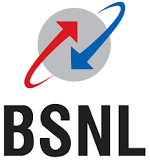 Bharat Sanchar Nigam Ltd. (BSNL) will conduct a Special Recruitment Drive (SRD) for SC, ST and OBC candidates for filling up total 147 post of Telecom Technical Assistant (TTA). All SC, ST and OBC candiates fulfilling the prescribed eligibility condition and possessing qualification as detailed in Annexure-A are eligible to apply for the above said post. Age Limit: Candidates age should be between 18 to 30 years as on 10-12-2015.